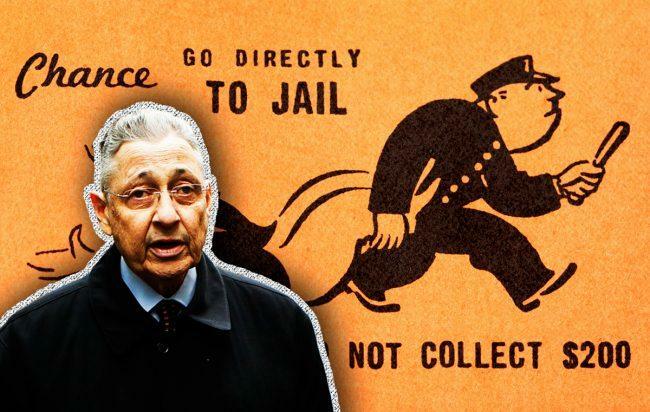 Sheldon Silver, once one of Albany’s most powerful politicians, is heading to prison. Federal Court Judge Valerie Caproni on Monday denied the former New York State Assembly speaker’s request to remain free on bail while he appeals his latest conviction. Caproni said “the true purpose of Silver’s appeal is simply to postpone his day of reckoning,” the New York Times reported. Silver must turn himself in to authorities on Oct. 5. In July, Silver was sentenced to seven years of prison after being convicted in May for a second time during a re-trial. He’d previously been sentenced to 12 years in prison. Silver was accused of extorting developers Glenwood Management and the Witkoff Group — asking them to direct their tax business to law firm Goldberg & Iryami. Glenwood and Witkoff testified they were unaware Silver was receiving a kickback from the fees paid to the firm. At the time, Glenwood and Witkoff were lobbying Silver on real estate matters, including 421a developer tax exemptions.